MSR's diminutive, weather-resistant E-Bivy sack adds the ideal amount of protection for wide range of situations without adding much to your pack. Its silicone-coated fabric top blocks wind, dew, spindrift and even light precipitation, adding valuable warmth and comfort when used under tarps, on open bivies and for winter camping. MSR &apos;s diminutive, weather-resistant E-Bivy sack adds the ideal amount of protection for wide range of situations without adding much to your pack. Its silicone-coated fabric top blocks wind, dew, spindrift and even light precipitation, adding valuable warmth and comfort when used under tarps, on open bivies and for winter camping. 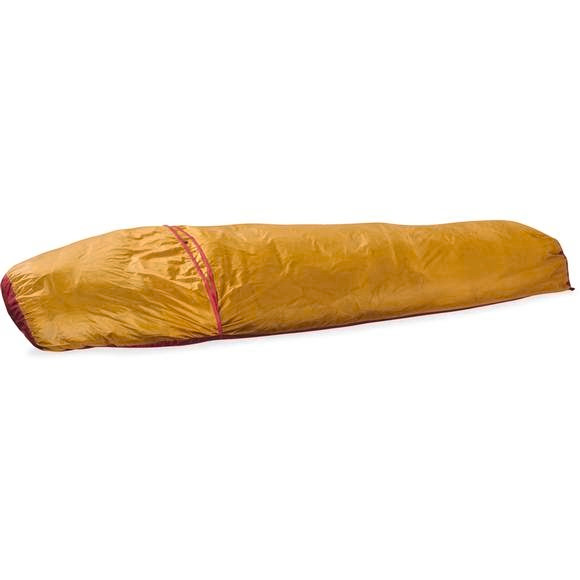 It can also be tossed into a pack lid on any trip, providing essential protection for an unplanned night in the hills.